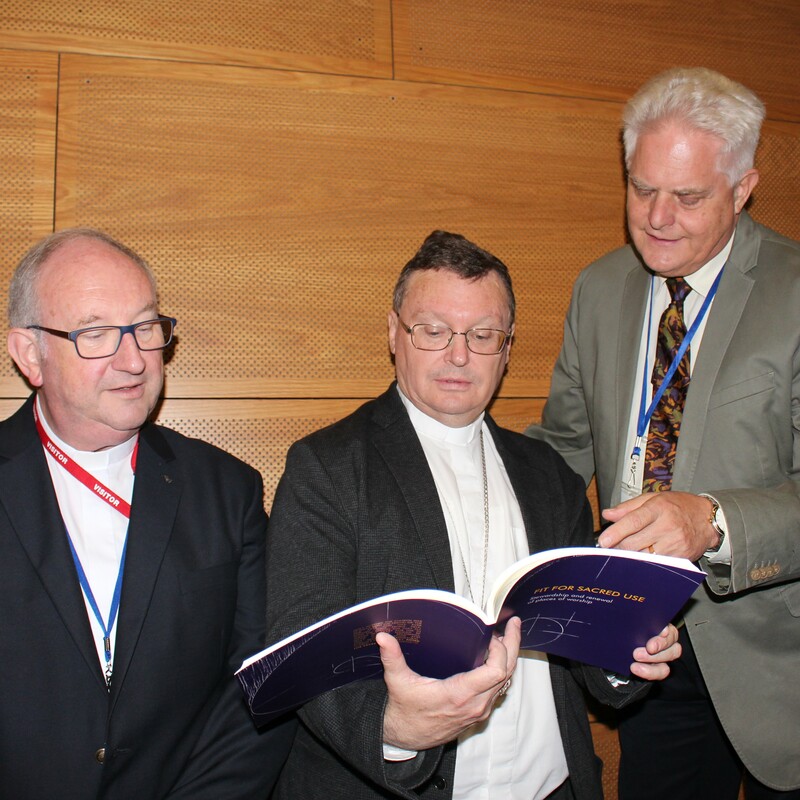 A new Australian Catholic Bishops Conference publication launched last night presents a blueprint for parish communities regarding the stewardship and renewal of existing church buildings. Bishop Patrick O’Regan, chairman of the Bishops Commission for Liturgy, officially launched Fit for Sacred Use: Stewardship and Renewal of Places of Worship during the opening session of the National Liturgical Architecture and Art Council’s (NLAAC) symposium, being hosted at Australian Catholic University’s Melbourne campus.Fit for Sacred Use is the companion document to And When Churches are to Be Built, launched in 2015. The earlier publication had a focus on the construction of new churches; the new volume looks at the redesign of existing churches. Bishop O’Regan said the two publications help improve the “cultural literacy” of people within parish communities and therefore helps them make informed decisions about any reordering of churches. “To assist in the attaining of a cultural literary in any area of endeavour, tools are needed to be able to bring this about. This is exactly what we have in And When Churches are to Be Built, and now Fit for Sacred Use,” he said. At the launch, incoming NLAAC chairman Fr Tom Elich said Fit for Sacred Use could assist parishes in assessing their church and its contents, considering whether a particular item should be retained, re-used, relocated, rebuilt, removed or renewed. The document also identifies the evolution of liturgical rites over the past 50 years and how church design can reflect those changes. It outlines liturgical and heritage principles that could guide a parish, drawing upon a wide variety of Church documents, including from the Second Vatican Council. An appendix considers how a parish community could manage, in a pastoral way, the closure of a church no longer needed for worship. In the foreword to Fit for Sacred Use, ACBC president Archbishop Mark Coleridge said the publication “will guide Catholic communities, architects, artists and conservators to care properly for our churches, ensuring that the pre-eminence of the liturgy is always honoured when churches are to be renewed”. Fit for Sacred Use can be purchased on the Liturgy Brisbane website.